I feel very fortunate to be playing with the great percussionist Tatsuya Nakatani at Kings Barcade in Raleigh on Monday February 13, 2012 with Crowmeat Bob, Carrie Shull, Xopher Thurston, and Craig Hilton. Show starts at 9pm and is free! 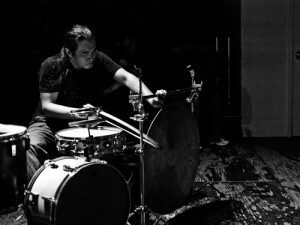 Tatsuya is also playing Sunday February 12, 2012 at the Nightlight in Chapel Hill with the Nakatani Gong Orchestra. The local edition of the NGO is scheduled to be Chris Eubank, Lisa McQuay, Carrie Shull, Alexis Mastromichalis, Dan Partridge, Crowmeat Bob. Show starts at 9pm and is $6. UPDATE: I will be playing with the NGO on Sunday too! There is video of the NGO’s performance on Friday at the Kennedy Center here.